If you are short of space for growing plants and wish you had more the answer may be to make use of the extra dimension. I mean that you should use a trellis or other support to grow plants vertically. It is amazing just how much extra room you can provide by growing flowers and vegetables in this way. I came across an article on the Garden Lovers Club website which describes seventeen different ideas for a vertical garden. The creative ideas we’ve gathered for you are just right for any size space. You can have fresh vegetables, flowers, and herbs whether or not you have a large backyard, deck, or you live in a little apartment. 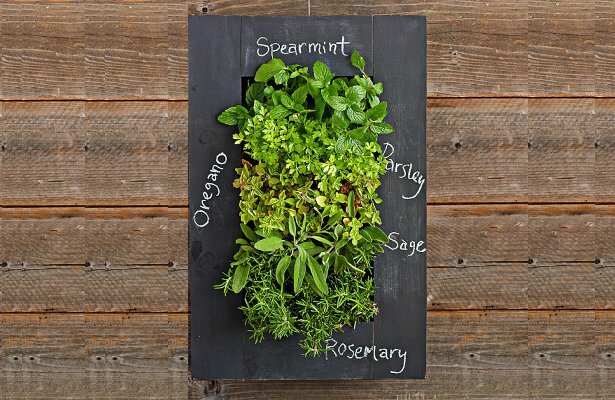 A cute chalkboard hanging herb frame that allows you to label your herbs easily. This is a cute, easy project to do with kids of all ages. 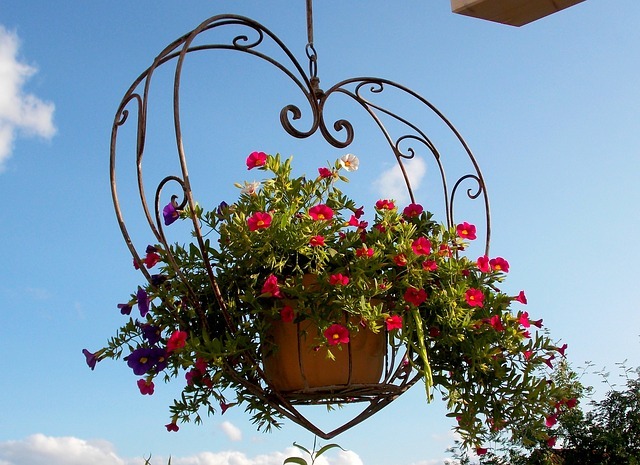 Hang a few of these for a quick, easy herb garden that will be hard for pets to get into. 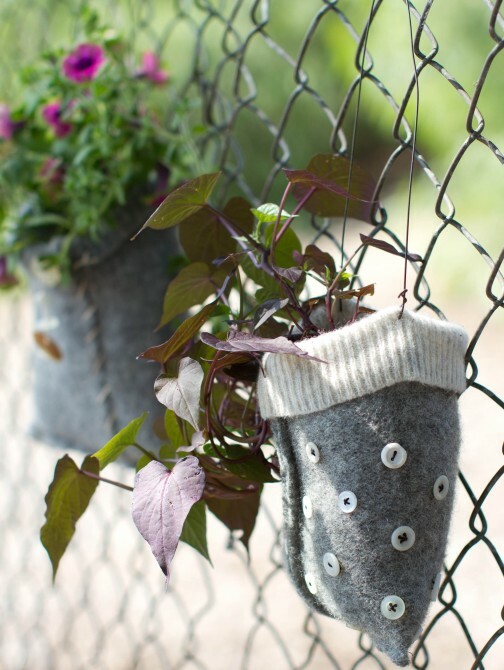 These cuties are made from old sweaters and a few buttons. The plants are contained within a plastic bag, so don’t worry about the fabric getting gross! These are a great way to spruce up a plain chainlink fence. 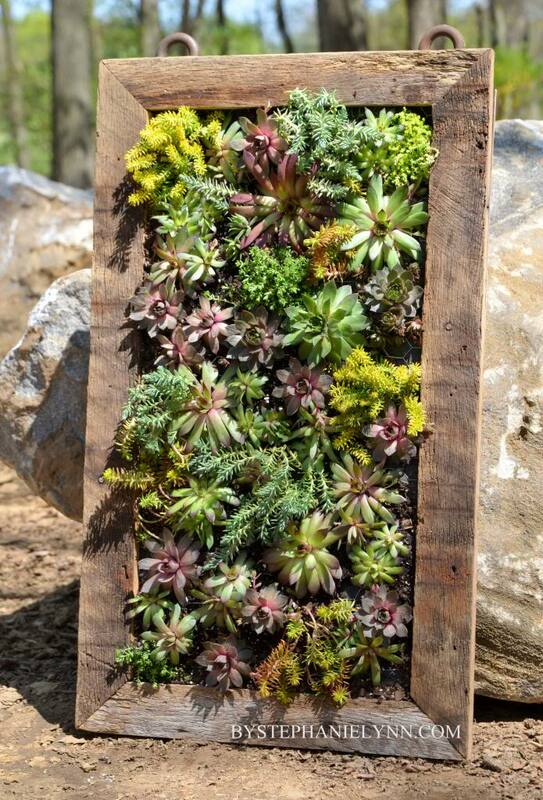 A great way to display a variety of succulents indoors or outdoors. Just be sure to keep the frame flat for a few days after you plant the succulents so all your hard work doesn’t come tumbling down in a mess of potting soil and plants! 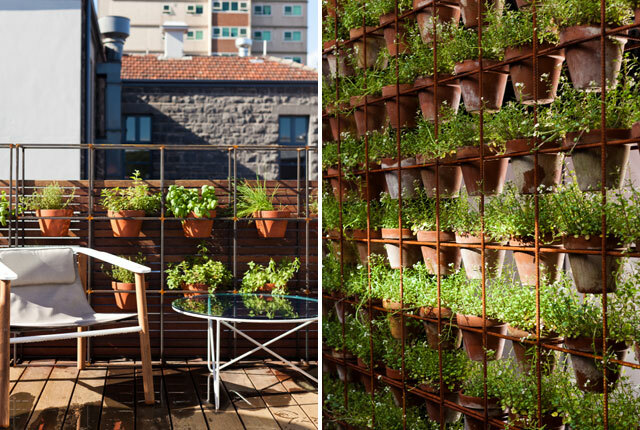 The metal grid structure of this vertical garden can be built up to suit your tastes. Want a wall of potted flowers or herbs! You can have a solid, sturdy garden with ease. Perfect for an industrial style home! It’s amazing the things you can do with ladders. 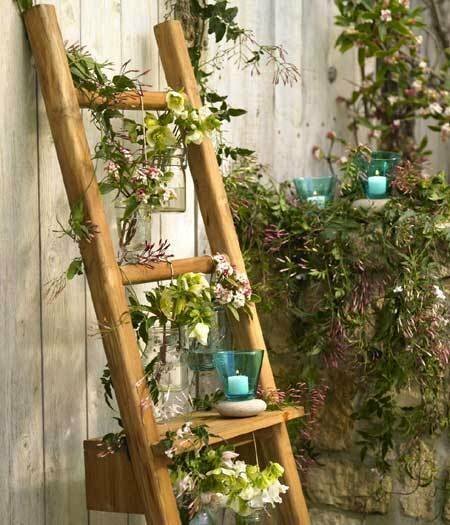 This cute project trails vines up and down the ladder and places small glass planters on the steps for a delicate, simple garden that looks fantastic.